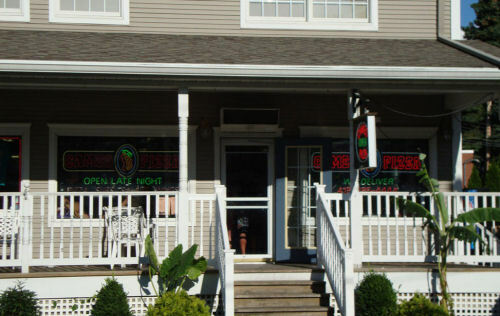 Put-in-Bay Cameo Pizza | Subs, Pizzas, Salads, and Snocones! Put-in-Bay Cameo Pizza has quickly become a staple of a trip to the islands. The crust and sauce is made from scratch, and the famous Cameo Blend Cheese is prepared daily. Our goal is to serve great tasting pizza! Choose from delicious, hot, homemade pizza, large, toasted sandwiches on an 8" sub bun or thick ciabatta bread. Try our mouth watering salads offering an array of garden greens, nuts, fruit, meats and dressings. Our wings, chicken bites and other appetizers are always pleasing. Late night Cameo offers hot, ready to go, whole, large pepperoni pizza and individual slices. Perfect for that late night hunger.